← Why Is Rainbow Vacuum Maintenance Important? Posted by Steve Morgret on December 3rd, 2012 19:17pm in Rainbow Vacuum Attachments. Last Updated on October 19th, 2018 01:33am. One of the most common issues for any vacuum cleaner is a loss of suction. A loss of suction leads to issues like debris not being picked up, leaving carpets dirty even after vacuuming. There are possible causes for this problem, such as a clog in the hose, or a loose connection. Other causes may include a small hole, or a broken valve or seal. 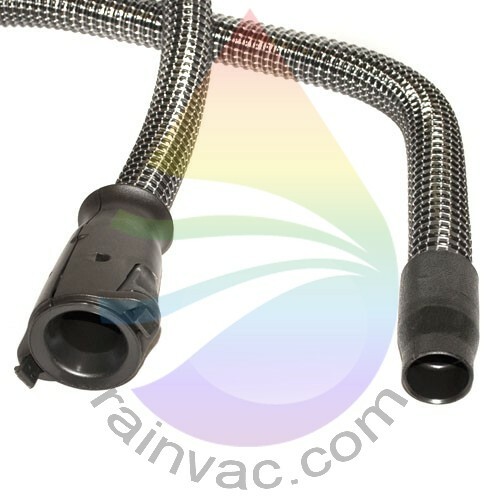 One of the first steps to fixing a Rainbow vacuum hose is to check to see if there is a clog in the attachment or in the hose itself. To get started, first make sure that the unit is turned off and unplugged, then gently remove the attachment and hose. If any debris is visible, it should be carefully removed, and any excess residue or dirt brushed or wiped off. If the clog is something sticky like leftover food or liquid, it may be necessary to use a brush or cleaner to remove it from the hose. The attachments should also be cleaned if they show any signs of buildup, as these are often where the clogs first begin to form. Most vacuum owners will find that their system works best when they clean it regularly, such as once every six months. Another common problem is a leak somewhere in the hose or in one of the seals where it connects. These happen for a number of reasons but the most common are something sharp that got stuck in it, or improper storage. One way to prevent this is to always use caution when picking up messes that include broken glass or pottery, as these have sharp edges that can damage parts. To minimize the risk, it is always a good idea to pick up the largest pieces before vacuuming. An easy way to check for holes or leaks is to run a hand along the hose while vacuuming. If any airflow is felt, then there may be a small leak in that area. If airflow is detected, the next step is to turn the unit off and inspect it. In most cases, once leaks or holes have formed, the part will need to be replaced. The part is easy to replace, as it just needs to be reconnected to the unit and the attachment. Ordering a new part is simple, as users only need to know the model number for their vacuum cleaner. With this number, it is easy to locate the right part online or through an authorized seller. One final reason that hoses tend to develop leaks and holes is that they were not stored properly. Some owners tend to just push the unit into a closet and let the attachments and hoses fall or curl up. Storage like this often leads to weak spots that may be prone to tearing. It may also encourage clogs as debris may fall further into hoses where it is harder to reach. To prevent storage related problems from forming, the Rainbow vacuum hose should be stored on a storage rack, or neatly packed to avoid pressure on the material.